A classic tweed coat in a classy gray color. 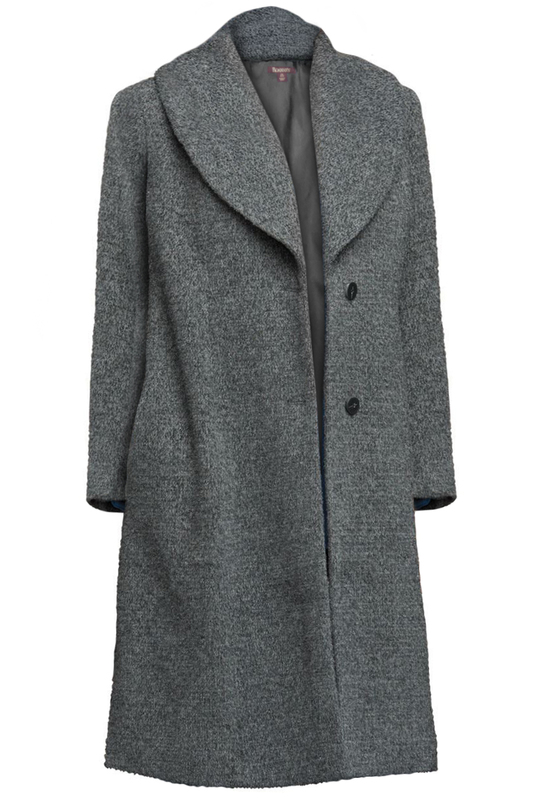 This coat has a clean relaxed silhouette that will keep you warm while looking sharp. It is fully lined and features a shawl collar with buttons in the front, side slits and side seams with slit pockets. Approximate length is 44" long. 3x (30W) - Chest: 57" | Hips: 59"
3x (32W) - Chest: 59" | Hips: 61"
4x (34W) - Chest: 61" | Hips: 63"